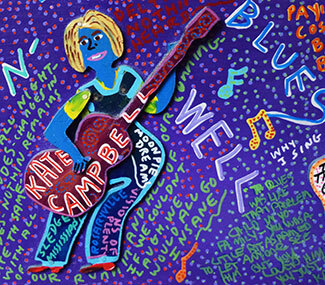 Campbell has performed at a number of esteemed venues such as the Cambridge Folk Festival, Merlefest, Philadelphia Folk Festival, Port Fairy Folk Festival, Timpanogos Storytelling Festival, and the National Storytelling Festival and been featured on NPR’s Morning Edition, All Things Considered, Live From Mountain Stage, and The Bob Edwards Show. 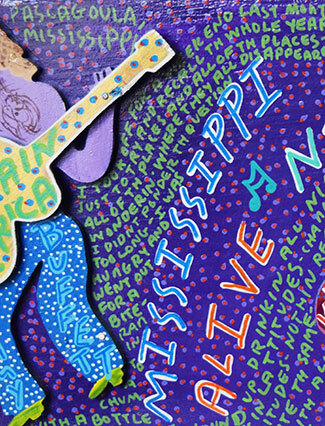 Her quirky song “When Panthers Roamed In Arkansas” was included in the debut issue of The Oxford American‘s ultra-hip Southern Music series. 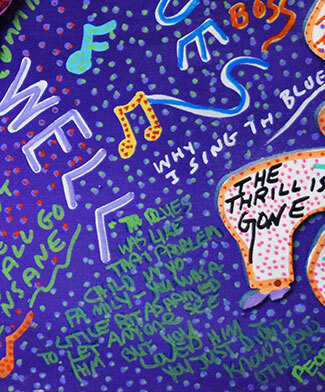 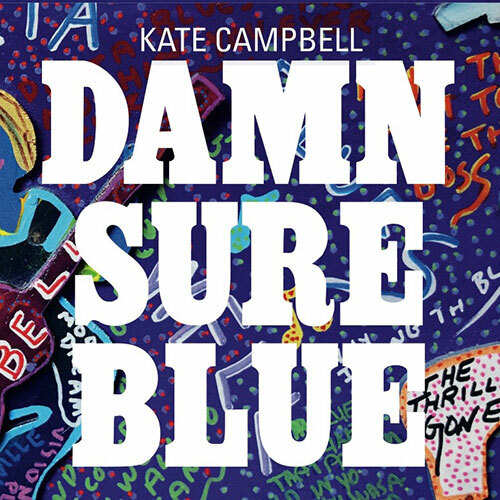 Damn Sure Blue artwork by outsider artist Miz Thang.